3-out-12 is an all-time low and has brought shame upon my entire lineage. However, when you consider the likes of Brees, Goff, Rodgers, Luck, and Brady all failed to make that list, you feel a bit better. REMINDER: There are 15-20 viable QB starts each week. If you don’t see your guy listed on here, that’s ok. This is about predicting the top 12 not necessarily who is safest. Check out where Andy, Mike, and Jason have their QBs ranked for Week 14. I don’t care that its the Ravens. He’s been a QB1 every week except once. He’s going to be the league MVP and potentially set the TD record. The Chiefs have a 30 point team implied total which is nuts against the best defense in the league. You start Mahomes. Brees and the entire Saints offense was stifled last week in Dallas. But it’s time to forgive and forget as this game boasts Vegas’ highest over/under (56.5) of the weekend. Heck, the Saints have the highest team implied total of the weekend (32.8) despite being on the road. Tampa Bay ranks dead last in DVOA against the pass and 31st overall as a unit. Speaking of MVP candidates, all this guy has done is throw for multiple TDs in every game this year and last week engineer an epic comeback on the road in Pittsburgh. Hats off to Mr. Rivers and he has the juiciest of matchups this week. The Bengals defense has been dreadful ranking 28th in defensive DVOA and dead last against pass-catching RBs. Expect Austin Ekeler to have a field day and Keenan Allen to keep up his torrid pace since coming off the bye. With James Conner out, expect Big Ben and the Steelers to pummel Oakland into the ground by “running through the air” as Jason would say. 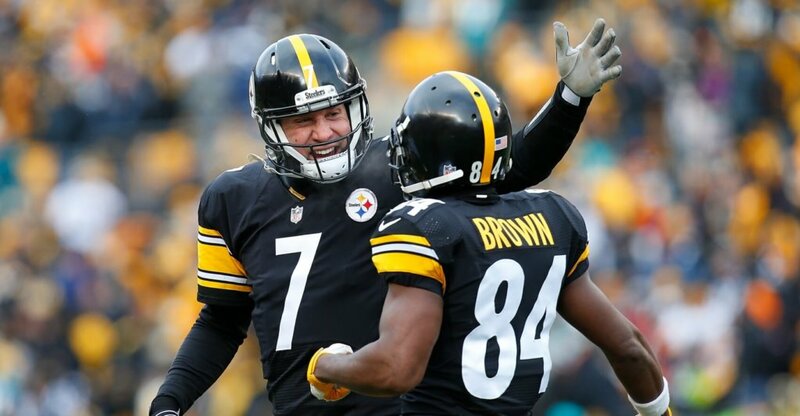 Roethlisberger ranks 1st in passing yards per game and the Steelers have scored the 4th most points in the league. The Raiders rank dead last in Pass DVOA so expect some big games from AB and Juju. It’s sad how far this franchise has fallen this season especially with the greatness they have at QB. In terms of fantasy production, he’s still only been a QB1 4-of-12 weeks. Yeeeesh. He’s trustworthy going into the fantasy playoffs at home against a Falcons defense ranks 25th in passing yards allowed per game and 31st in Pass DVOA. As a 6-point home favorite, roll with Rodgers, who hasn’t thrown an INT in 336 consecutive attempts. Last week was rough with 4 INTs although he managed to still finish the week as the QB12. The matchup this week is tougher than we might give credit as Cleveland has allowed only 2 top-10 QB performances on the season. However, they are vulnerable on the ground and to pass-catching RBs. Newton has too high of a floor in a game with a 47 point over/under. The ceiling might be capped but if you’re in the fantasy playoffs, Newton was the one who likely brought you there. Watson is a bit of a conundrum as he hasn’t thrown for over 240 yards in 7 weeks and routinely putting up low volume passing attempts. However, this is the game to start him at home as a 4.5 point favorite. The Colts are allowing QBs to complete 72% of their passes (31st) and were destroyed by him in Week 4. The Texans began their 9-game winning streak by winning 37-34 in OT behind Watson’s season-high 375 pass yards, 41 rushing yards, and 3 total TDs. As much turmoil as Winston has faced this year, when he’s been on the field, he’s been a legit fantasy option. In the four games he’s finished behind center, he’s been a top-10 option each time. ON the season, the Saints have given up the 3rd most fantasy points to opposing QBs and rank bottom-5 against pass catching RBs, WR1s, and WR2s in DVOA according to Football Outsiders. New Orleans has improved lately giving up just 4 passing TDs in the last 4 weeks. He’s a top-8 QB in a game with the highest over/under (57.5) of the week. Last week was a struggle for Luck against the Jaguars with over 50 pass attempts and 0 TDs to show for it. Against these Texans in Week 4, Luck had 40 completions for 464 yards and four touchdowns losing in OT. In a game with a high total (49.5), the amount of offensive action should be compelling. The Colts play at the fastest pace (25.4 sec/play) in the league while the Texans rank 10th. T.Y. Hilton is averaging 96 yards a game against Houston in his career so prepare for an explosion. Wilson has been oddly efficient this season and super frustrating to project week-to-week. With an 8.9% TD rate, he’s maintaining an unsustainable pace especially when he’s completing less than 12 passes like he did last week. While the Vikings look good against the pass overall, they have some glaring weaknesses. They rank 29th against pass catching RBs and 27th against TEs. 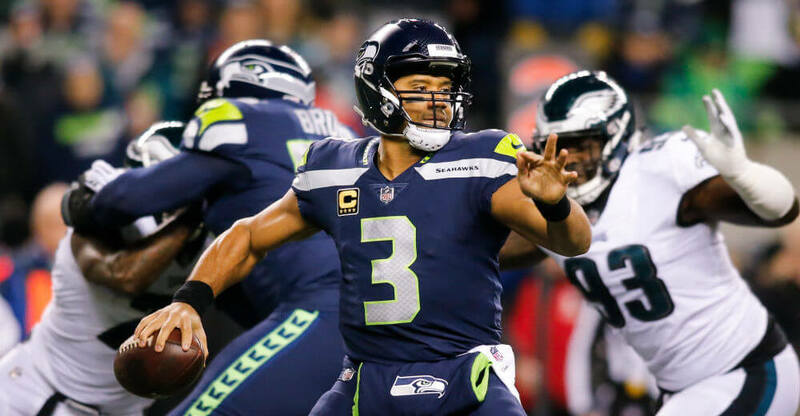 Rush-el Wilson shows no favoritism when it comes to TDs and as 3 point home favorites on Monday night football, I like his chances to finish in the top-12 yet again. Despite throwing 3 INTs last week and making some rookie mistake, Baker still led the league with 397 passing yards. That’s what we like to see from a young gunslinging fantasy QB. Carolina has allowed a top-10 QB week in 4 of last 5 weeks and ranks 27th against the position for the season. This isn’t the same Panthers defense we once knew as they rank 27th in DVOA against the pass and 30th against TEs. He’s a low-end streamer with some equity knowing he’s at home and will have to keep pace with Cam Newton. So far so good as Jackson is 3-0 in his starts and the Ravens currently hold a wild-card spot while creeping up on division-leading Pittsburgh. If Patrick Mahomes is going to put up points on the road, LJax will be forced to play catch up against a defense ranked 25th in defensive DVOA and dead last against the run. 100+ rushing yards is more than on the table which gives him an almost unfair QB1 floor. Goff sputtered last week as Todd Gurley took over with his usual multiple TD-self against Detroit. I own Goff in a number of leagues and feel hesitant starting him on the road against arguably the NFL’s most disruptive defense. The Bears rank 1st in defensive DVOA and 2nd in DVOA against the pass according to Football Outsiders. They also create more turnovers than any other defense including 8 weeks inside the top-12 as a fantasy scoring defense. He has the weapons but is just outside the top-12 for me. 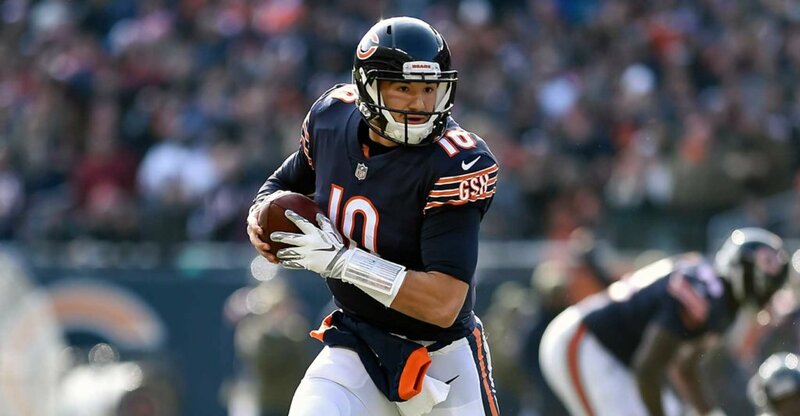 Goff’s counterpart is the hopefully recovered Trubisky who will be a 3 point underdog at home. I’m not ready to trust him coming off an injury against a fearsome pass rush and a defense that ranks 7th in DVOA against the pass. The Rams are also top-notch (2nd in DVOA) against pass catching RBs so the Tarik Cohen magic might not work again this week. If you selected Brady in your fantasy draft and continue to plug him each week, you likely are sitting outside the playoff picture. It’s been 6 weeks since Brady was a top-12 option and I don’t think I’d want to plug him in this week. I’m calling for a ground game attack with Sony Michel, James White, Rex Burkhead, and the newly crowned king vulture, James Develin. New England is also 1-4 in last 5 games in Miami which isn’t inspiring to say the least. You may not know this but Mariota has posted 4 straight top-7 QB performances in games he’s finished. Impressive, but I don’t want to touch this game with a ten-foot pole. We have a Thursday night divisional matchup with the lowest over/under (37.5) of the weekend.